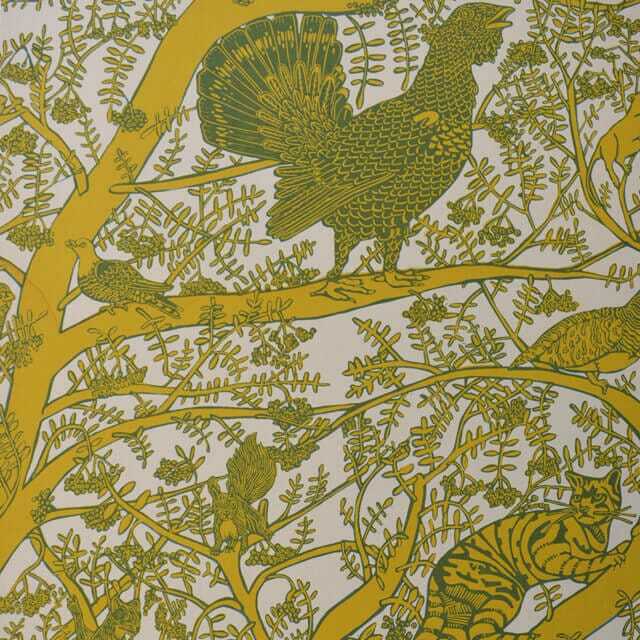 This wallpaper is silk screen printed using traditional techniques and skilled craftmanship. Bring the great outdoors home! 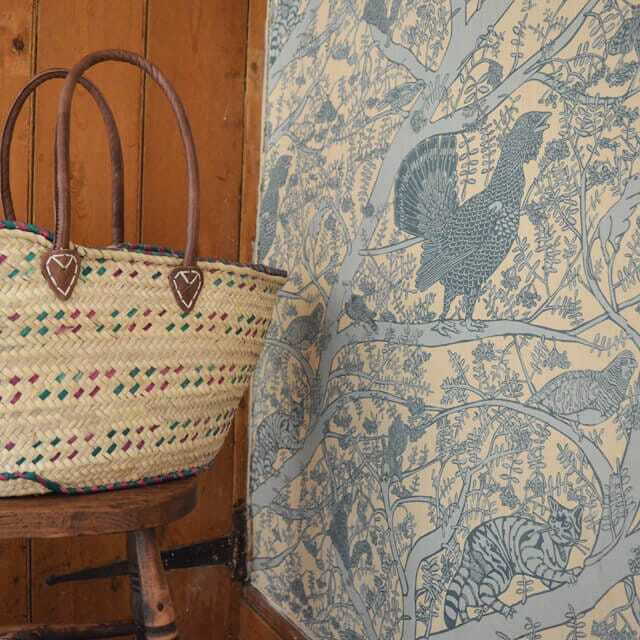 Our wallpapers are silk screen printed by hand using traditional techniques and skilled craftmanship. The papers evidence the marks of the printmaker as the printing ink can be seen on the surface of the quality paper. Truly a unique work of art! The papers are printed to order in Glasgow. 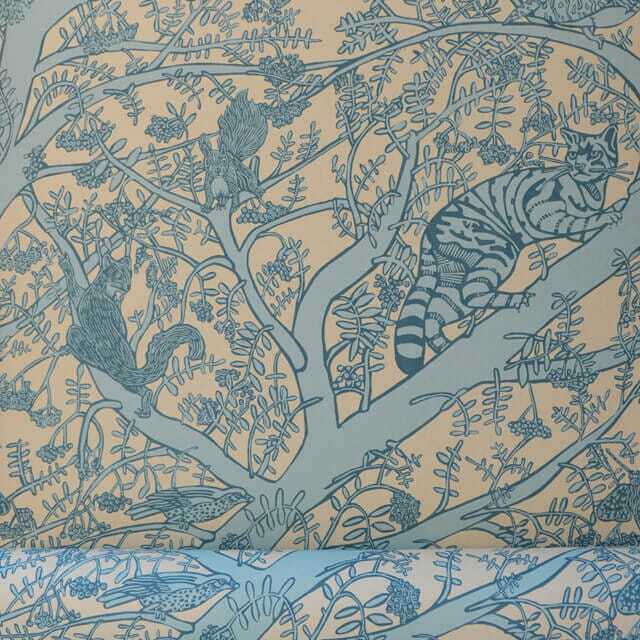 Endangered Animals is a bold block printed repeat design for wallpaper. The design was cut from a single lino block in 2013 printed on paper and then transferred to silk screen for wallpaper printing. 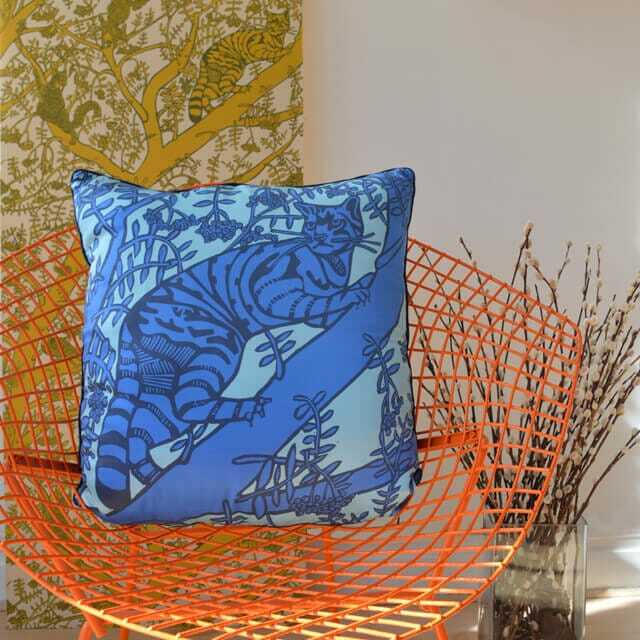 This design features some of the rarest animals, now disappearing from our landscape. Look among the branches and you can find the Wild Cat, the Capercaillie, the Pine Marten and the Red Squirrel. Celebrating the wild the design aims to remind us of our relationship to nature wherever we are. 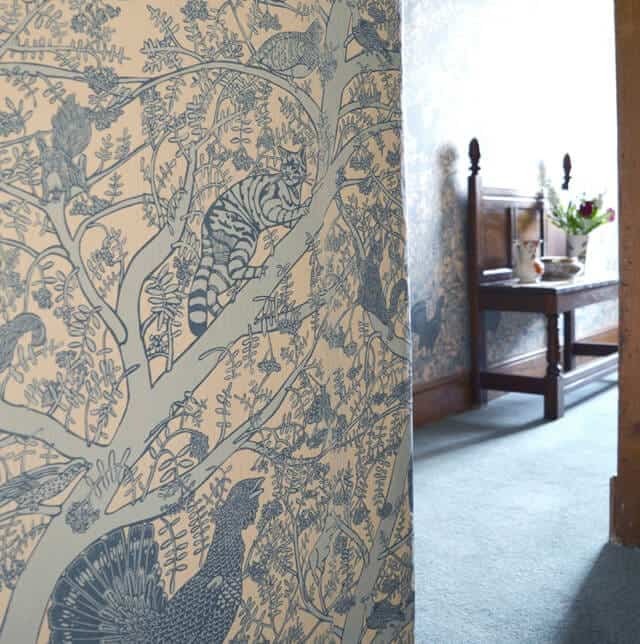 Why not do a feature wall and bring the wild into your home! Wallpaper is sold per roll and all postage is included.